Can we all just agree that cornbread is one of life's most wonderful treats? It goes with just about everything! Whether it's toasted and slathered with butter for breakfast or accompanying a bowl of chili, cornbread is a good thing. 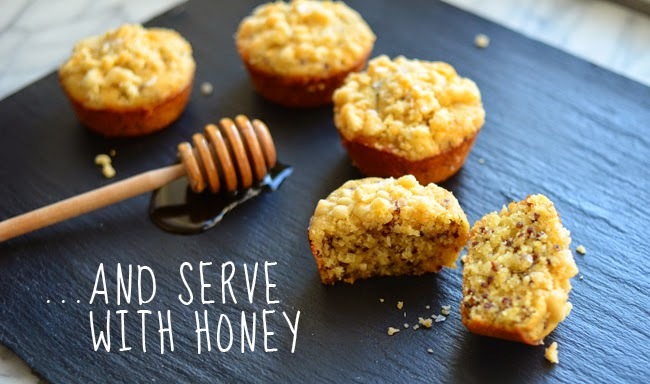 I set out to make a traditional cornbread sweetened with honey, then I had a bit of an "aha!" moment. Sitting in my fridge was a container of leftover quinoa that I knew would get tossed if I didn't use it. Before I go on, I know what you're thinking...Ugh, not another recipe with quinoa!! Trust me, I know this grain has had quite the moment (and some of us may be a little bit over it), but I've had some delicious muffins with quinoa before, so I knew it would be a natural combination. 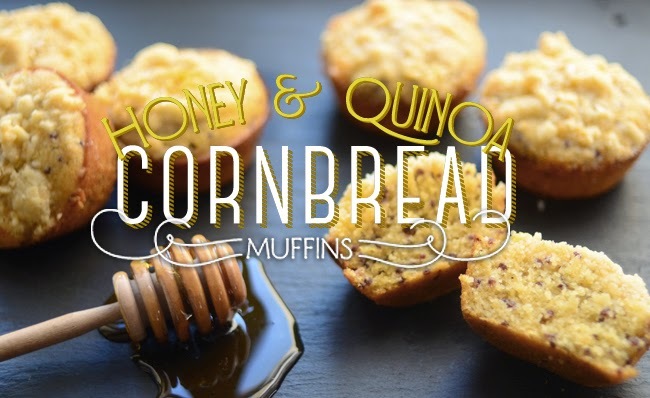 The addition of honey, quinoa and a savory streusel topping makes this cornbread extra-special. 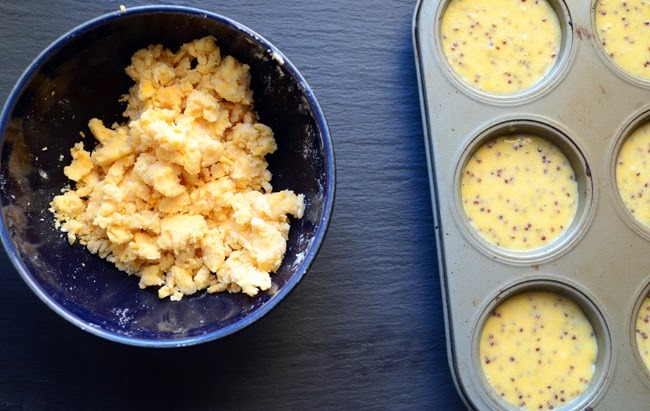 Make these as muffins, or as a loaf. It'll get eaten fast, no matter what. 1. 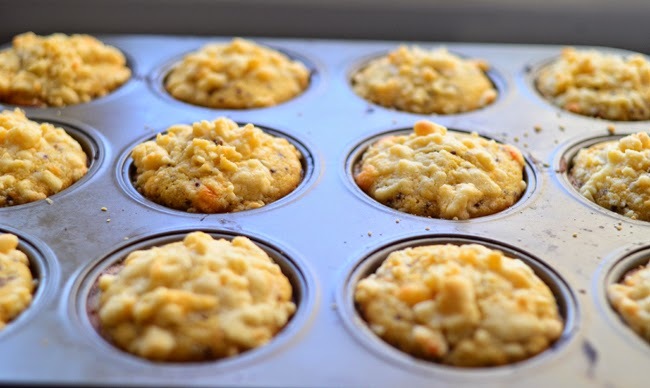 Preheat oven to 400 degrees F. Place muffin liners in (or grease) a 12-cup muffin tin. Melt the butter in a saucepan over medium heat. Turn off the heat when the butter begins to brown slightly and set aside to cool. 2. In a large bowl, combine the cornmeal, flour, quinoa, baking powder and salt. 3. 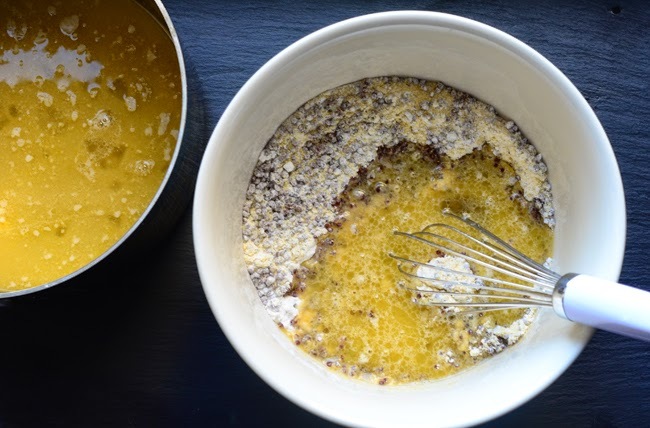 Whisk the whole milk, honey and eggs into the melted butter. Add the wet to the dry ingredients and stir until just combined. 4. 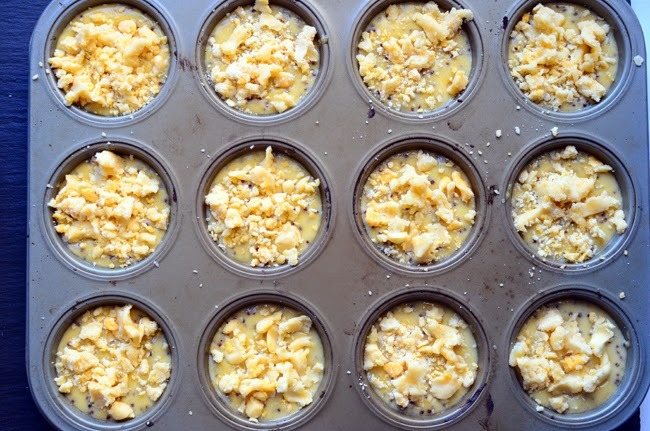 Evenly divide the cornbread mixture into the muffin tin and top with streusel topping (recipe below). Bake for 12 minutes, or until a toothpick inserted in the middle comes out clean and streusel topping is golden. 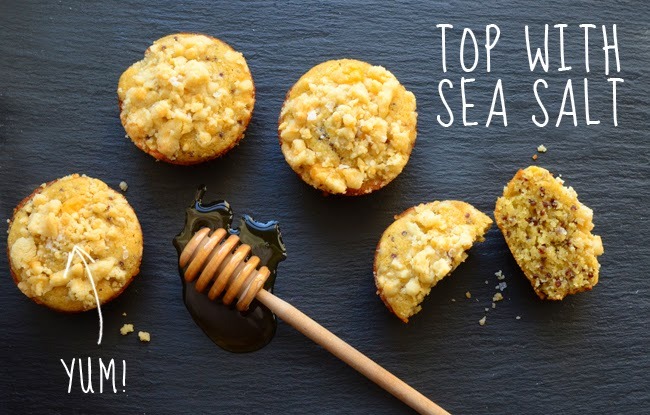 Finish with sea salt and serve with extra honey. 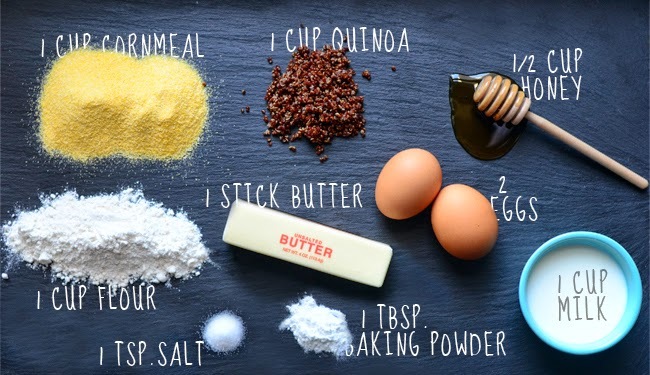 Combine all ingredients in a bowl and press together with your fingers to make a coarse crumble. Sprinkle the topping evenly on top of the cornbread batter before baking.